← prologue to the proposal story. The most memorable proposal is the one that you and your spouse-to-be star in. No amount of eloquence or vocabulary can describe the elation, exuberance and ecstasy that a newly engaged couple experiences. Nothing is better than that unbeatable feeling of knowing that you’ve taken a significant step to spend the rest of your lives together. I’ve spent days writing this – capturing every event in my remaining memory in writing. And while it has been a tedious process because of my meticulousness, I have thoroughly enjoyed reliving every moment. This writing exercise has, without a doubt, made me appreciate my relationship with Huiyi and anticipate our future together even more. Speaking of matrimony, I’m about to turn 28 years old and have lost count of the number of times I’ve been involved in and invited to weddings. More than half of my closest buddies are already married and I’ve had countless privileges of being the best man, groomsman, emcee, worship leader and wedding singer. It has been, and still is a wonderful thing to share in one of life’s most significant memories. She’s a private person who desires simplicity – so I told myself to keep the idea simple, and the event private. She’s always fantasised about being proposed to over a sunset or sunrise at a beach, decked in a nice dress – a straightforward wish that I would gladly fulfill, since she doesn’t usually have many requests. Before I describe the actual proposal, I will recount the events that led up to it, including the numerous ideas I also considered and would have executed. And somehow, all these ideas actually contributed to the eventual idea. Next chapter: the crucial milestone – her family must know. 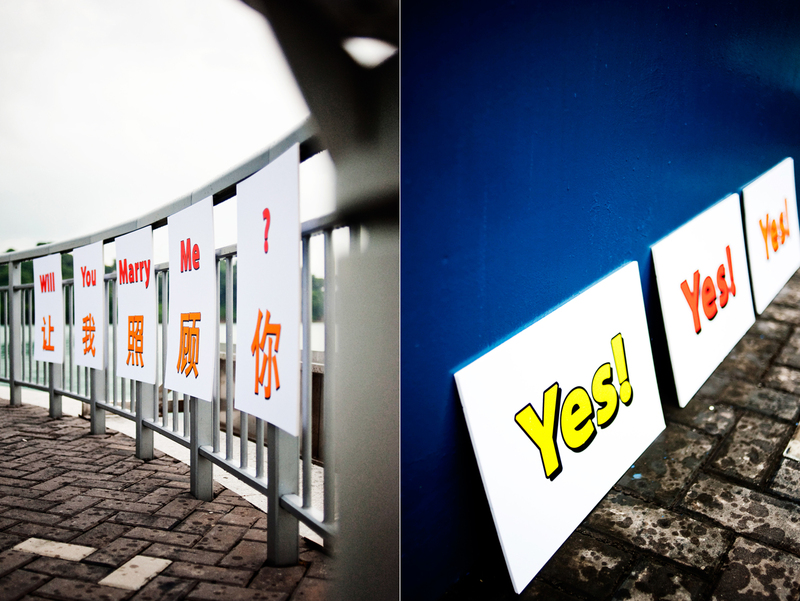 Posted on July 19, 2011, in A Walk To Remember, Picture Perfect and tagged Lee Huiyi, marriage proposal. Bookmark the permalink. 2 Comments.